Karen was diagnosed with Type 1 diabetes in 1979, at the age of 11. She can vividly remember when diabetes care meant taking one insulin injection per day, following a strict exchange diet, and testing for sugar in urine using glass test tubes and fizzy tablets. She also remembers being told she could no longer eat sweets, except for one piece of cake on her birthday each year. Today, Karen is thankful to have better insulin and new tools for diabetes care. She gladly replaced urine testing and the exchange diet with blood glucose meters and carbohydrate counting. In 2008 she began pumping insulin and she added a continuous glucose monitor to her regime the following year. She appreciates that today’s devices help her to better manage her diabetes and let her indulge in cake more than once a year! In 2008 Karen started her diabetes blog, Bitter-Sweet, and became immersed in the diabetes online community. She is employed by DiabetesSisters as their Program Manager and also volunteers as their Virtual PODS leader. She consults as a moderator and research assistant for DiabetesSistersVoices. She also advocates offline, volunteering with local JDRF chapters in her home state of Connecticut – she volunteers on the Adult Outreach Planning committee with one chapter and has served as volunteer Advocacy Team Chair with another chapter. This policy is valid from February 2012 and last updated January 2018. Karen does accept free product samples, travel, services, event tickets and other forms of compensation. Reviews for such are at her discretion and acceptance does not guarantee a review will be published. Any reviews will contain only the opinions of the blog author, both good and bad. 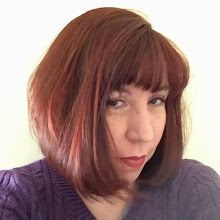 Karen is currently a guest blogger and consultant for Medtronic and their blog The Loop, ongoing since February 2012. In return for her contributions, Karen receives devices, supplies and/or monetary compensation from Medtronic. Karen’s opinions (as well as this blog) are her own and she strives to be honest when sharing those opinions. Bitter-Sweet does accept blog advertisements, at the discretion of the author. 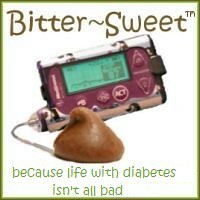 For current ad rates please email Karen@bittersweetdiabetes.com. Karen’s LinkedIn profile can be found here.